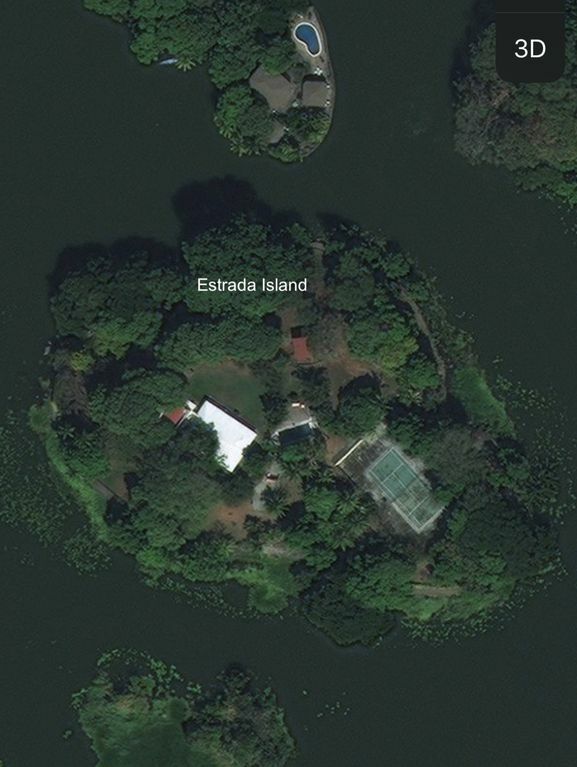 A 2 ½ acre island exclusively for the enjoyment of discerning guests. It has a quaint home with 3 bedrooms (1 with A/C and all with ceiling fans) and 3 baths, elegantly furnished with fully equipped kitchen. The well kept outdoors has a pool and a full size tennis court as well as a walk about the full island where our guests use for walking or running. "We enjoy watching and identifying birds, and saw at least 21 different varieties of birds, including various herons, osprey, kiskadees, jacanas, and a great view of oropendolas working on their nests. Juan is the man who works and lives on the island. He was always at our service to handle any maintenance matters that arose, and also contacted boat captains when we wanted to go to a restaurant—"
One unit in Master Bedroom; all other areas have ceiling fans. One seat of linen for each bed. Old Pioneer with superb sound quality. Connection is mini plug or RCA, thus if guest has iPhone must bring adapter. The island measures 2.1 acres and besides the houses and other construction, it is mostly green with large old trees or grass. Large area veranda with spectacular scenery. Available for rent at Cabaña Amarilla. Full size tennis court with net (a bit aging but well). Please bring rackets and tennis balls.